Ana Kaloni's pointed-toe flats will make any outfit feel instantly more playful. 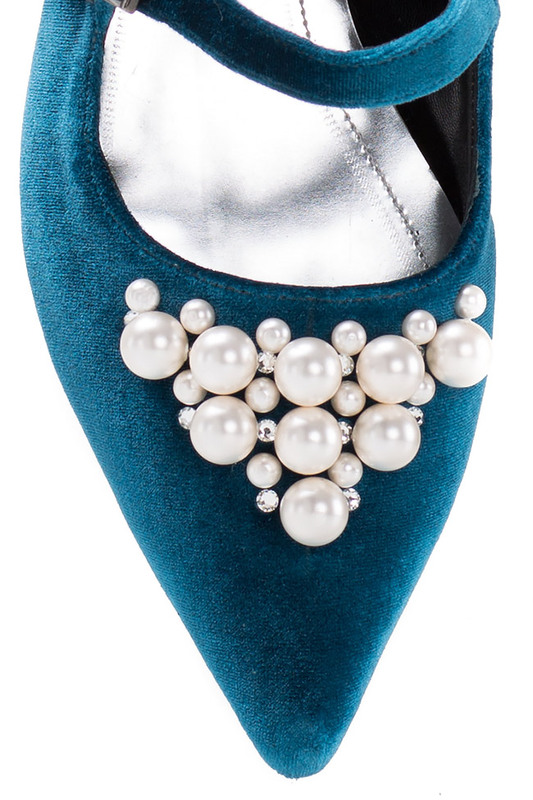 Topped with sizable faux pearls, silver studs and crystals, this pair is crafted from plush black velvet that extends to the sole for the coziest fit. Lined in supple leather and set on a slight heel, they're so comfortable to wear and will easily slot into your everyday wardrobe.